Bolstad, P., 2016. GIS Fundamentals: A first text on Geographic Information Systems. Fifth Edition. Eider Press, 770 pp. ISBN: ISBN: 978-1-50669-587-7 Available here. Dr. Bolstad has put a lot of resources associated with this book online for free. See here for reading assignments. You may think this is ridiculous, but much of what you need to know (and students frequently forget) is covered in this Dr. Suess Book! In fact, the six C's you will be graded on are based on principles outlined in this book that a 3 year old can understand! Rabe, T., 2002. 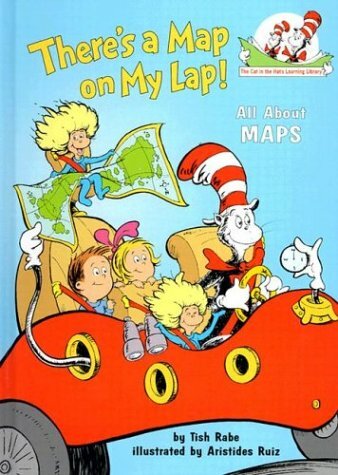 There's a Map on my Lap! All About Maps. Random House Books. 48 pp.